The Christmas cards are starting to appear and you may have even heard your first Crimbo song in the shops. Love it or hate it, time to order the turkey, dig out your reindeer jumper and sort out gifts is right around the corner. I've still yet to meet someone that doesn't appreciate hampers. But they don't have to be really expensive and fancy. 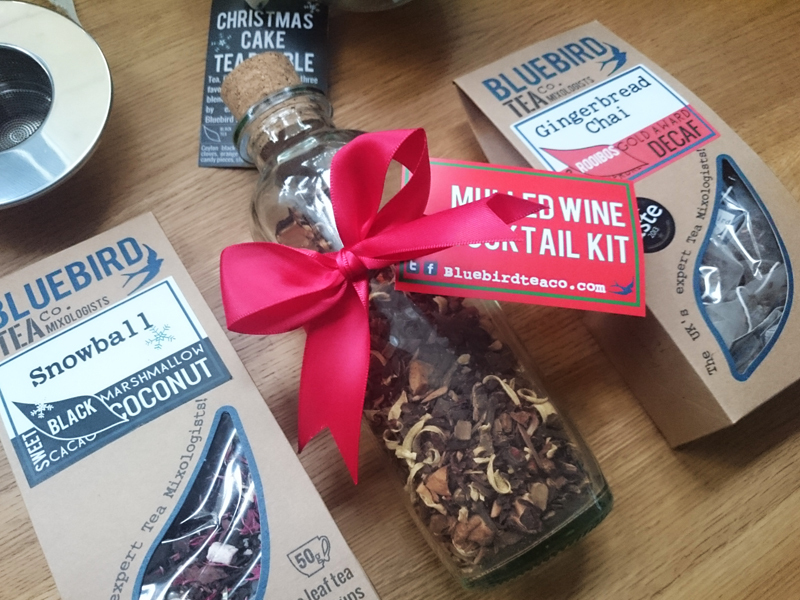 The Christmas Selection Gift Hamper £50 from our own Brighton Bluebird tea co is fun and full of their gorgeous tea blends that taste as good as they look, full of vibrant, good quality (and sometimes fun) ingredients. Already having won me over to rooibos and herbal teas (trust me - these are a million times better than the dust in teabags you get as standard), they are also making quite a name for themselves for seasonal blends. Their Gingerbread Chai has become a year-round favourite. With a base of rooibos, it's spiced with cardamom, cinnamon and ginger and softened with mallow flowers. I also love the luxurious silk teabag format too. Joining it is another full size carton of the Snowball loose leaf blend with Coconut, Chocolate and Mini marshmallows and pretty red cornflowers. The Christmas Cake bauble sold out in a single day last year. It must have been the sparkly snowflakes. And I have never seen a tea with spruce needles in it. This tea screams Christmas like Noddy Holder and is one for the sweet toothed. New for me is the Mulled Wine Tea Cocktail Bottle and the first item I had to try (ok, ok I'm a wine lush). They run tea cocktail classes from their store and great to see invention with tea, there's no reason why you can't cook or make other things with it (try my Bonfire Toffee tea poached pears). 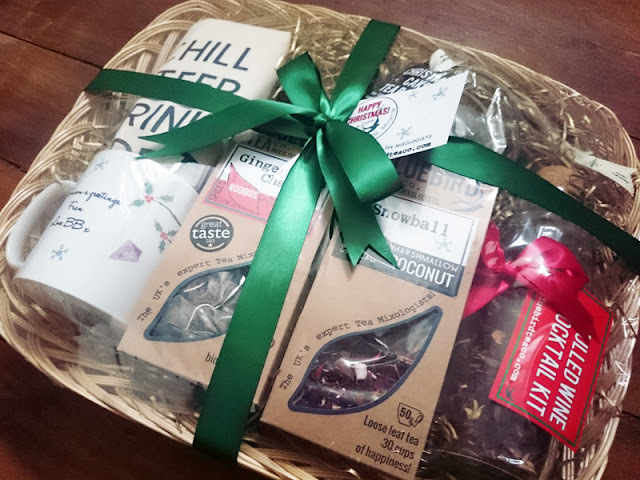 Also included with this particular hamper is an In-Cup Infuser Basket, Christmas Bluebird Tea Mug and Limited edition Tote Bag. They also have a full range of hampers and stocking fillers. The tea filled Christmas baubles are really pretty and perfect for colleagues, teachers and acquaintances as well as the individual cocktail bottle kits. For those you really love though, the blending kits, experience packs and themed hampers are a great idea for an alternative gift. I was sent the Christmas Selection Gift Hamper to review. Words and thoughts, as always, my own.